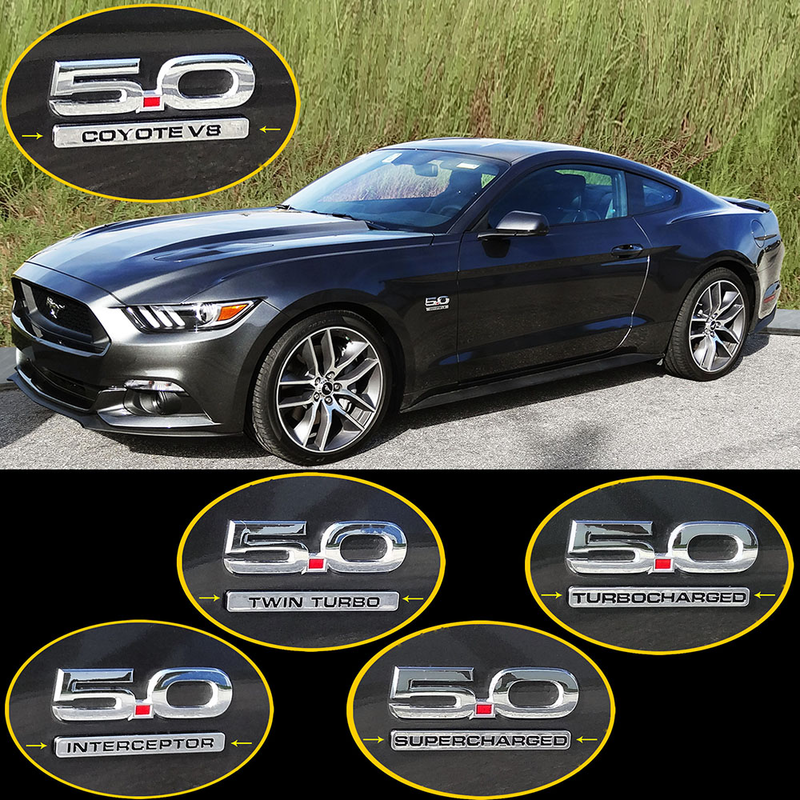 These new emblem finishers from UPR compliment the factory 5.0 emblem while giving your car that unique personal touch. Nice upgrade for show cars as well. These are .170 thick for a perfect match with the Mustang 5.0 emblem on each front fender. You will truly be amazed at what a nice addition they are. 2011 2012 2013 2014 GT 5.0 Mustang Cobra Shelby Roush Saleen & Steeda Vehicles. No one else can stack up to the bold clean styling of our aftermarket Billet dress ups, Street Strip & Racing Suspension & Performance Parts for your late model American Muscle Car!